Some say it's just a collectiin of puzzles but does that matter. No story, just Clutter, Clutter and more Clutter. Oh, and an occasional Minigame to drive you crazy. 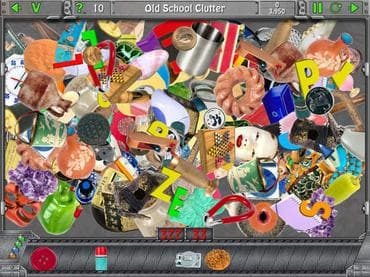 Picture puzzles, word puzzles, a solitaire card game, a logic game or two and of course, even more Clutter!!! Free Game features: - Over 500 Levels; - Gripping gameplay; - Best Clutter Yet!!! - Best Mini-games Yet!!! - Randomly generated levels to give you hours and hours of replayability. If you have questions about Clutter IV game, please contact us using this form.